This website is owned and operated by JLE Electrical. Unless otherwise specified, all materials on this website are the property of JLE Electrical and are protected by the copyright laws of Australia and, throughout the world by the applicable copyright laws. You may view, print and/or download one copy of the materials from this website on any single computer solely for your personal, informational or non-commercial use, provided you keep intact all copyright and other proprietary notices. No materials published by JLE Electrical on this website, in whole or in part, may be copied, reproduced, modified, republished, uploaded, posted, transmitted, or distributed in any form or by any means without prior written permission from JLE Electrical. The use of any such materials on any other website or networked computer environment or for any other purpose is prohibited. Any such unauthorised use may violate copyright, trademark and other similar laws. Except for any disclosure by you for technical support purposes, or as specified in our Privacy Statement, all communications from you to this website will be considered non-confidential and non-proprietary. You agree that any and all comments, information, feedback and ideas regarding our company, products or services that you communicate to JLE Electrical ("Feedback") will be deemed, at the time of communication to JLE Electrical, the property of JLE Electrical, and JLE Electrical shall be entitled to full rights of ownership, including without limitation, unrestricted right to use or disclose such Feedback in any form, medium or technology now known or later developed, and for any purpose, commercial or otherwise, without compensation to you. You are solely responsible for the content of your communications and their legality under all laws and regulations. You agree not to use this website to distribute, link to or solicit content that is defamatory, harassing, unlawful, libellous, harmful to minors, threatening, obscene, false, misleading, or infringing a third party intellectual or privacy rights. Linked sites are not under the control of JLE Electrical and JLE Electrical is not responsible for the content of any linked site or any link contained in a linked site. JLE Electrical reserves the right to terminate any link at any time. JLE Electrical may provide links from this website to other sites as a convenience to you and in no way should this be interpreted as an endorsement of any company, content or products to which it links. Any access to a third party site linked to this website is at your own risk. JLE Electrical disclaims any and all warranties, express or implied, to any such linked sites, including but not limited to any terms as to the accuracy, ownership, validity or legality of any content of a linked site. You agree to indemnify, defend and hold JLE Electrical harmless from and against any and all third party claims, liabilities, damages, losses or expenses (including reasonable attorney's fees and costs) arising out of, based on or in connection with your access and/or use of this website. In no event shall JLE Electrical or its suppliers be liable for any direct, indirect, special, incidental or consequential damages, including, without limitation, loss profits or revenues, costs of replacement goods, loss or damage to data arising out of the use or inability to use this website or any linked site, damages resulting from use of or reliance on the information or materials presented on this web site, whether based on warranty, contract, tort or any other legal theory even if JLE Electrical or its suppliers have been advised of the possibility of such damages. 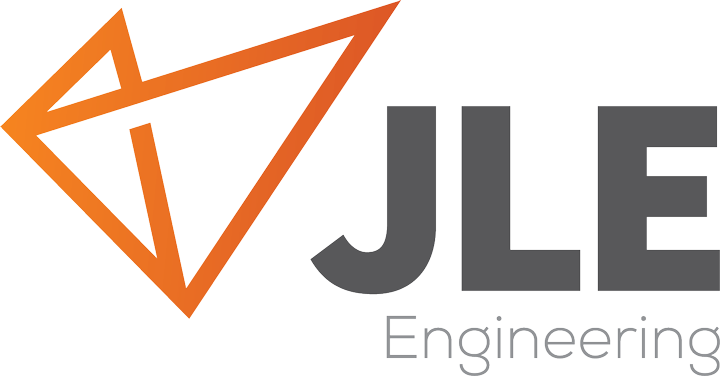 JLE Electrical assumes no responsibility for accuracy, correctness, timeliness, or content of the materials provided on this website. JLE Electrical is not responsible for supplying content or materials from the website that have expired or been removed. The materials provided at this website are provided "as is" and any warranty (express or implied), condition or other term of any kind, including without limitation, any warranty of merchantability, fitness for a particular purpose, non-infringement or title is hereby excluded. This website was developed and is managed for JLE Electrical by Reliance Technology. Reliance Technology is a regionally based information and communications technology support provider to government, education and SMEs. More information can be found at www.relianceit.com.au. JLE Electrical have built and maintained reputable position as an Electrical Contracting Company that values safety, quality and customer satisfaction.